The founder of a North Carolina-based biotech company that was acquired last year has purchased a two-story office building along Broadway in Denver, and hopes to lure a single tenant to fill it. Afshin Safavi, acting as Safavi Holdings LLC, paid $4.5 million last month for the building at 511 Broadway, according to county records. Seller CB 511 Broadway LLC purchased the building in January 2007 for $1.3 million, according to records, and subsequently renovated it, converting it into creative office space. The LLC is affiliated with ownership of bieMedia, a defunct video marketing firm that previously operated in the building. The structure is about 26,000 square feet, which includes 19 enclosed, basement-level parking spaces and about 19,000 square feet of office space. Denver Health is building a seven-story parking garage behind the structure. Safavi also bought the adjacent 0.26-acre parking lot at 501 Broadway for $1.95 million from nearby Meininger, an art supply shop. Terry Hoffman, of Hoffman West Real Estate in Beaver Creek, represented Safavi in the purchases. David Barocas, Joe Hornstein and Scott Fetter of Pinnacle Real Estate represented the sellers. 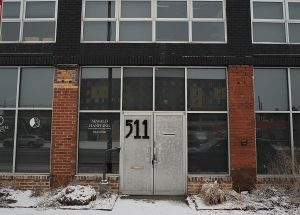 The office building at 511 Broadway in Denver sold for $4.5 million. Safavi said he is targeting reasonably priced properties in great locations that aren’t built out to zoning maximums. The 501 and 511 Broadway parcels, he said, are zoned for up to eight stories. “Sometime in the future … we could either go eight stories up on our own or we can find partners to do it with us,” he said, adding that he doesn’t have a specific timeline for redevelopment. 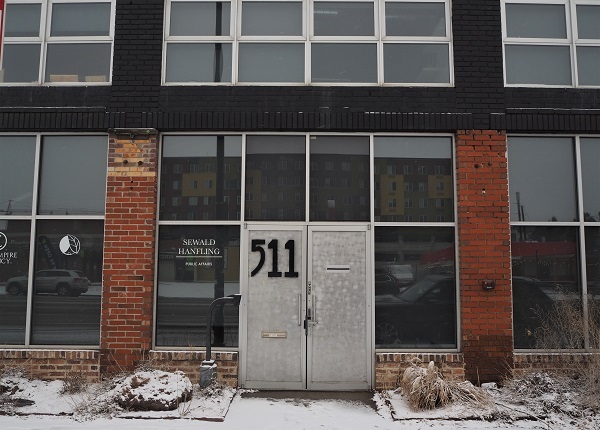 Two tenants have been operating in a portion of the 511 Broadway building, but Safavi said they will move out by the end of the month. Safavi expects to then spend several months on renovations, including updating the facade along Broadway, before ideally leasing the space to a single tenant. 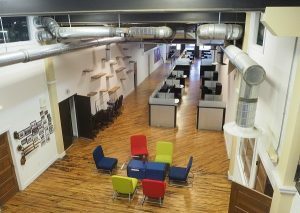 The structure’s quirky layout seems well-suited to a tech company that needs space for about 100 employees, he said. Avon architect Michael Hazard is working with Safavi on the renovations and consulting on his purchases. Safavi also recently bought 2101 and 2145 S. Clermont St. in Denver for $2.3 million, according to records. And he said he also owns 14 undeveloped acres in Breckenridge. Looking down at the building’s first floor from the second level. Safavi co-founded Durham, North Carolina-based BioAgilytix Labs in 2008. The company was acquired last year; Safavi said the purchase price was $435 million, although he cautioned that he owned only a “small percentage” of the business at the time of the sale. 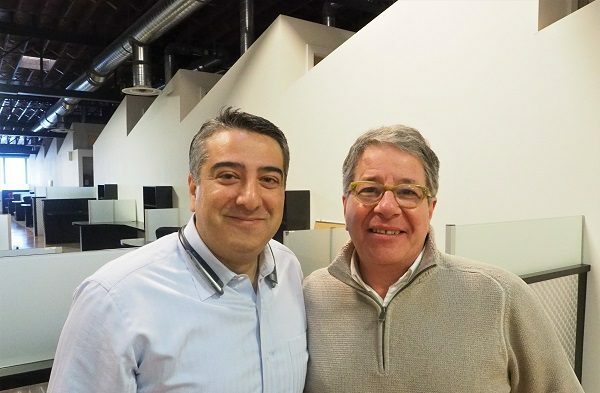 Safavi said he emigrated to the United States from Iran at age 13, went on to earn a doctorate in biochemistry and worked for several firms in the sector before founding BioAgilytix in North Carolina. Starting in 2000, he said, he also began investing in real estate. Safavi moved from North Carolina to Colorado in 2016. He recently began his first term as a member of the City Council in Cherry Hills Village.